In July of 2015, HSC hosted the first annual Green Clean Schools Summit at the University of Washington’s Seattle campus. In attendance were 90 green cleaning leaders from across K-12 and university communities and the cleaning industry. Almost half of those in attendance represented schools, while the rest of the attendees were from industry, non-profits and government organizations. The school participants represented the cleaning of more than 1 million square feet of school facilities and protecting the health of more than 700,000 students. What was so groundbreaking about the Summit was that it was the first time school facility operators in this field came together to network and share ideas on green cleaning. Everybody was there to discuss not only what they are doing at their own schools, but also how to advance green cleaning in schools across the nation. After two days of presentations, panel discussions and tours of an award-winning cleaning program, attendees participated in extensive brainstorming about the biggest obstacles they face when it comes to advancing green cleaning. At HSC, we’ve been examining these obstacles and coming up with ways to help overcome them. Let’s take a look at the three biggest challenges that green cleaning advocates face and some of the tools and resources we can all use to push past them. Lack of commitment from the top. Many of the attendees bemoaned a lack of support, engagement or consideration from those in charge of their schools or cleaning programs. One of the ways we’re helping to change this is by creating more specific guides for key parties that will help you advocate for green cleaning to those in positions of power at your schools. Remember to always think big. Our Green Cleaning Advocacy Handbook provides in-depth advice on how to advocate for green cleaning legislation in your district, municipality or state. We also have a comprehensive guide to existing policy available on our website. Lack of knowledge about green cleaning. Many tied that fear of change to a lack of information. Community members, stakeholders and even staff members often simply don’t know what green cleaning means or how it can benefit them. 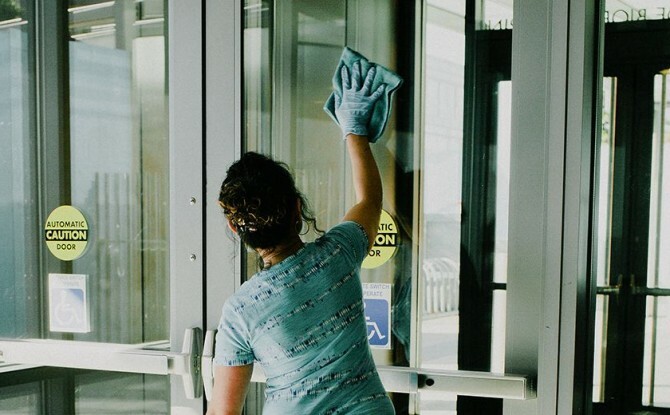 Leaders at the Summit identified a misunderstanding about the cost of green cleaning, effectiveness and health benefits of green cleaning to be significant challenges. One of the ways we’re hoping to overcome this lack of knowledge is through peer-to-peer sharing of knowledge and mentorship opportunities. The Summit was one way we were able to spread information about green cleaning. Our Leadership Council, which is comprised of 10 heads of award-winning green cleaning programs who partner with aspiring green cleaning programs to guide, educate and mentor through the process, is a personalized and under-utilized resource for educating stakeholders. This just scratches the surface of the valuable and exciting information that came out of dialogues at the 2015 Green Clean Schools Summit. Would you like to be a part of the conversation at next year’s Summit? Sign up to receive our newsletters so you can be the first to hear about the event details when they are released.